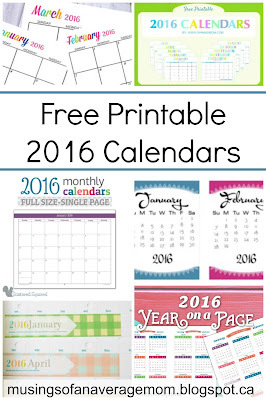 If you are the prepared, plan ahead type here are several free printable 2016 calendars. 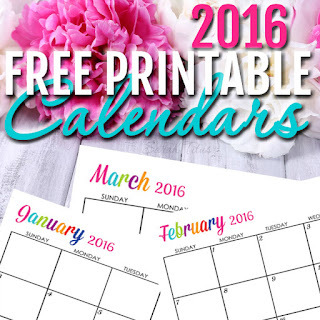 And if you lack in the planning and organization and planning ahead like myself (possibly excluding this post) well then you can still print out these free calendars in February or July by month. 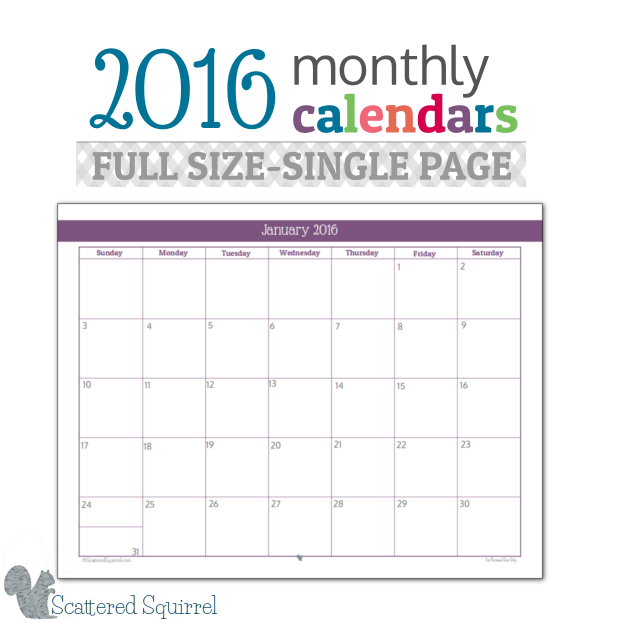 Scattered Squirrel also offers full size single page monthly calendar pages, or you can get them as a double page or year at a glance option as well. 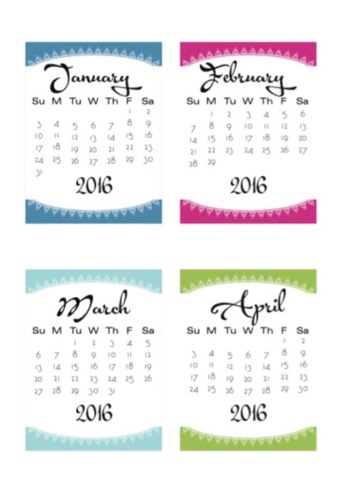 Love how colourful this free printable from Short Stop Designs is, and it's also available in landscape format. 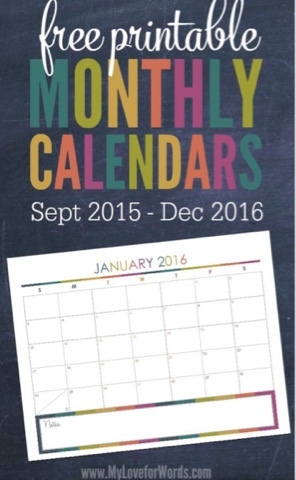 Subscribe to My Love for Words free newsletter to get this free 2016 calendar delivered to your inbox. 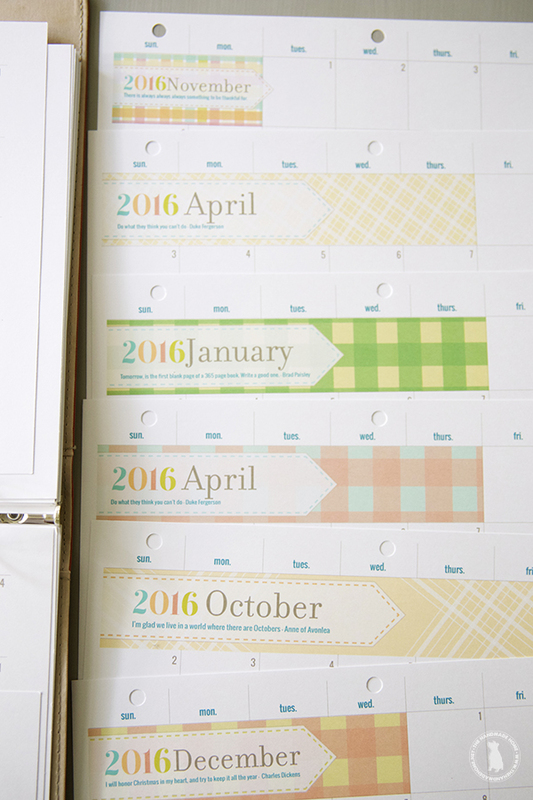 Scrappy Sticky Mess has several free 2016 calendars including this pretty and cheerful "doily" version. 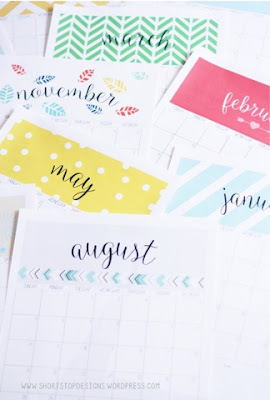 I absolutely love all the free printables from the Handmade Home - she has designed an entire planner for 2016 including cover, year at a glance, contacts, birthday pages, divider pages with inspirational quotes, and calendar (pictured below) or weekly views, budgeting pages, to do lists and more! Basically everything you need to get organized for the upcoming year. 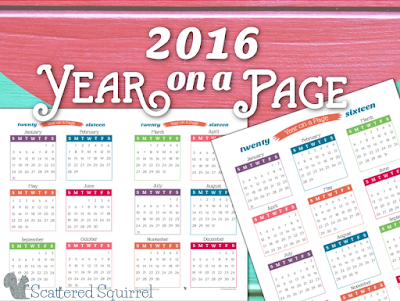 And if you are looking for a Year on a page view, Scattered Squirrel also offers that free printable. 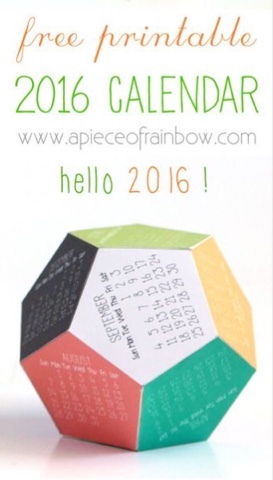 And I think this free printable 3D calendar from A piece of Rainbow is so much fun. And will be printing it out for my work desk. And if you are getting geared up for next year here is a roundup of free printable 2017 Year at a Glance calendars, Free Printable Blank Calendars, or a 2017 pink monthly calendar I designed. 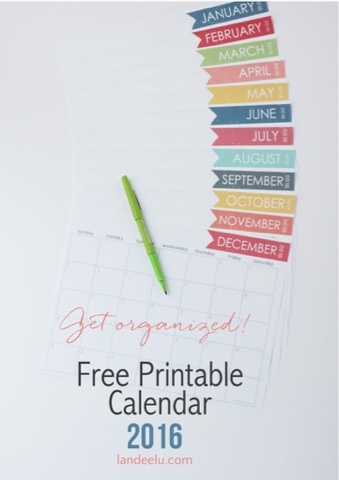 With two kids and a blog I am appreciating anything and everything that helps me get/stay organized. It doesn't come naturally to me but I work at it because when I don't have a plan I just end up spinning my wheels wasting much needed time. 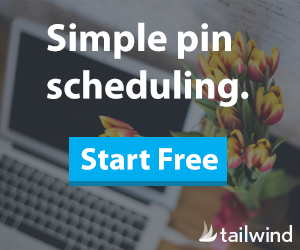 Thanks for linking this to #SaucySaturdays...I'm really thinking about the blog planner. 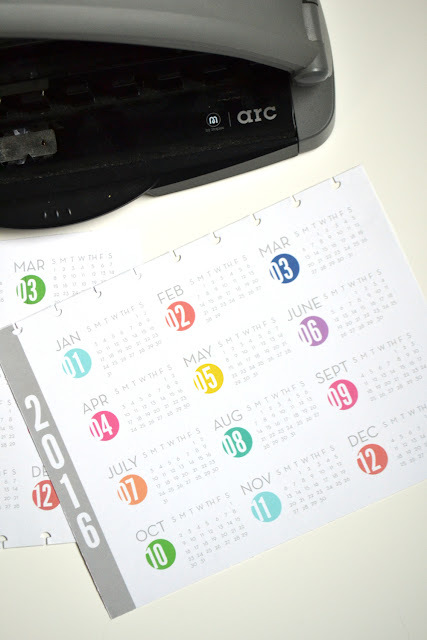 Excellent round-up of printable yearly calendars. I keep one in my planner all the time. I came over on Tell it to Me, and I'm glad to find your site. Here via the Wonderful Wednesday Blog Hop. 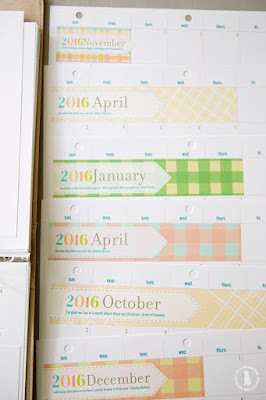 Thanks for the round up of all the fun printables! I'm so glad I stopped by from #WonderfulWednesday! That is awesome! 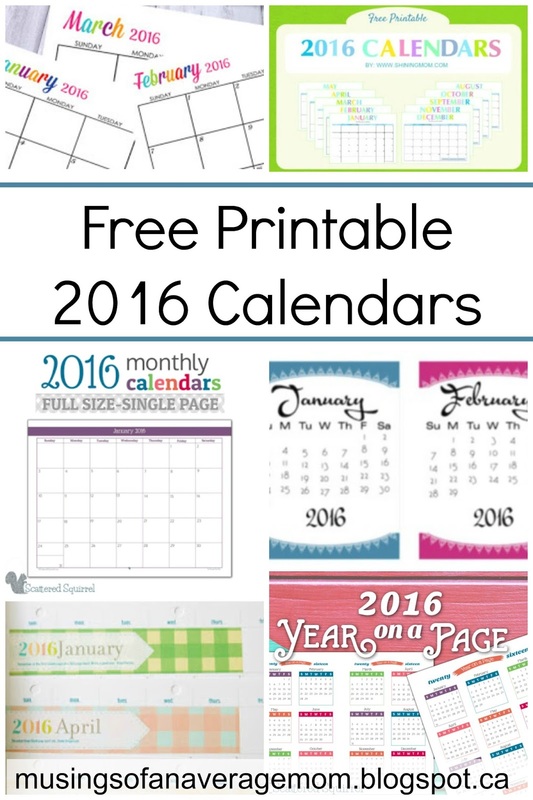 I am always looking for printable calendars to use for church. 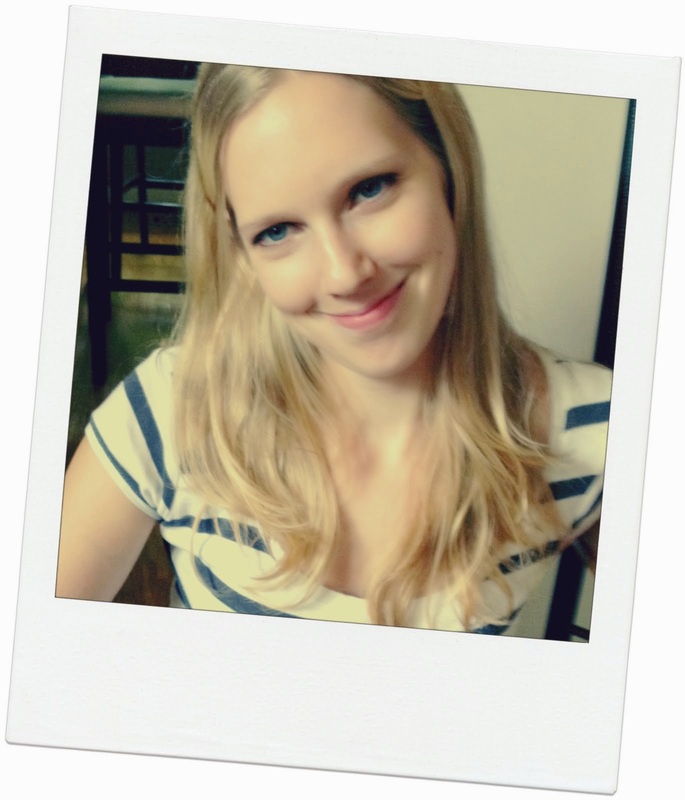 Thanks for sharing and thanks for linking up with #Alittlebitofeverything! Have a great weekend! 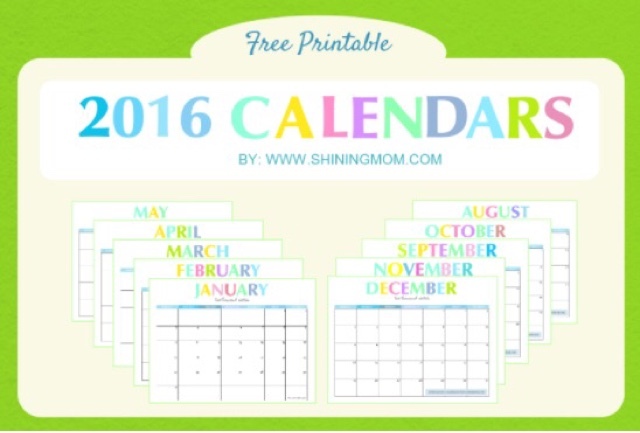 Good afternoon, found your wonderful article through the share the wealth blog linky party. 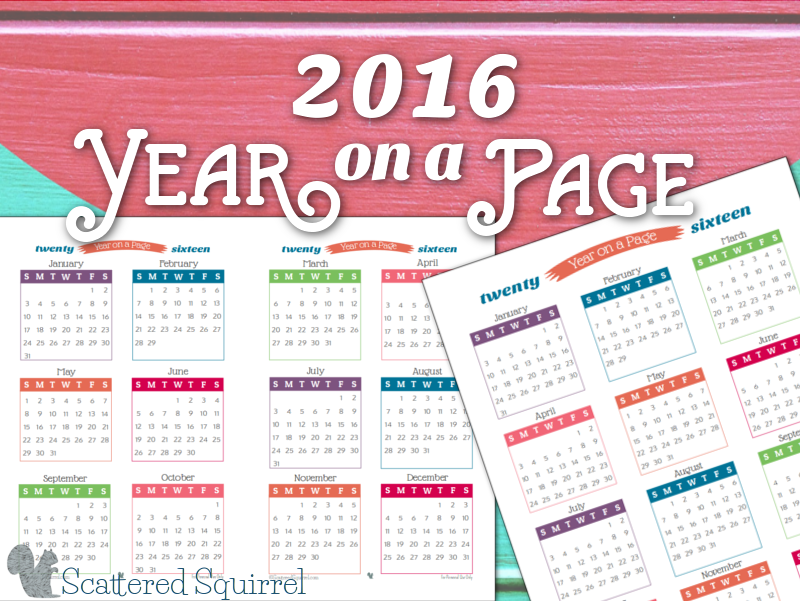 Love printable and even calendars. 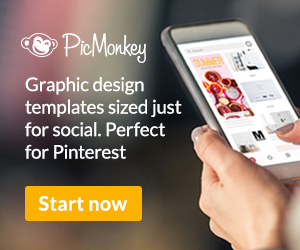 You have a lovely sites as well as great content. 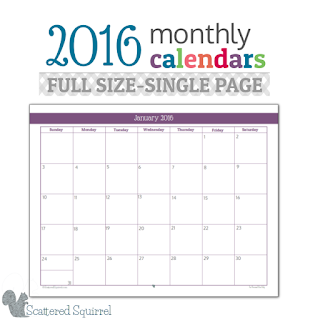 Gosh, I can't believe we are already gearing up for 2016! 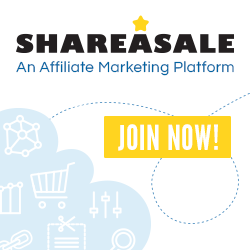 Thanks for linking up with Share the Wealth Sunday! 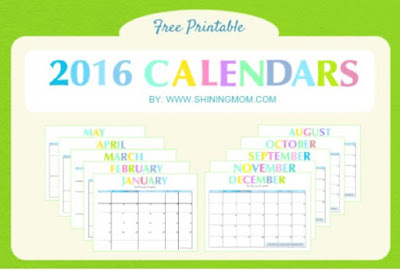 thank you so much for the calendar links!! I love printables! Thank you for sharing on Meetup Monday!